This soothing game, accompanied by a meditative and calm soundtrack, is perfect for a lazy afternoon. Choose from hundreds of types, and find your perfect Koi. Guide your Koi fish through various spaces and make him consume small fish. 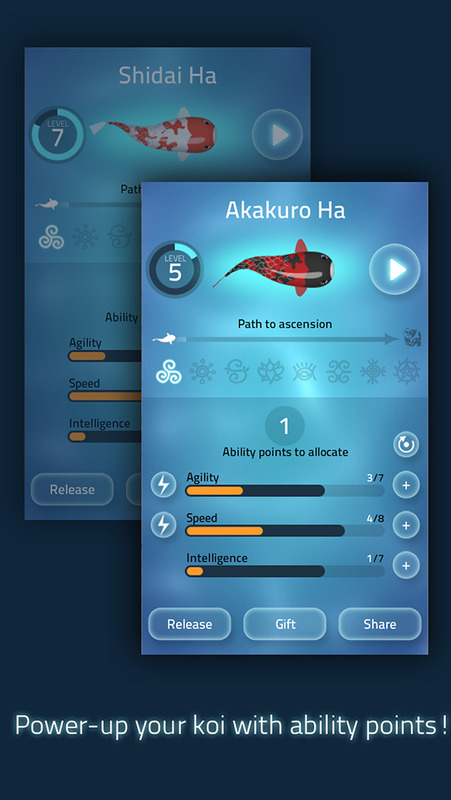 Level up and find other Koi to breed with and produce baby fish with exceptional patterns. If you do a good job, your Koi will finally become its final stage of development ? a fully formed dragon! by LandShark Games Pte. Ltd.